Compared with the developed countries, the production of seamless steel pipes still have many problems. Now we don't have the conditions to be a great power of seamless steel pipes production. 1. The structural adjustment of equipment lags behind severely, and backward equipment account for a large proportion. Seamless steel pipes production in China has unbalanced development. Although advanced equipments are increasing, some backward equipment units which should be eliminated in accordance with the national steel industry development policy are not abandoned in our country. These units need tube blanks which are outsourcing rolled compact, adopting backward punching, acid pickling and cold-drawing technology to produce seamless steel pipes with minor diameters, which possess high energy consumption, low yield and pollute the environment seriously. 2. Industries are not concentrated. 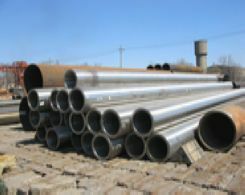 At present, there are hundreds of industries who manufacture seamless steel pipes, among which there are only seven industries who have larger scale of production and more than two units to produce hot rolling seamless steel pipes and whose yield accounting for 57% in national output. The rest are produced by peanuts whose distribution is scattered. 3. The development of pipe mill equipment is unbalanced. At present, seamless steel pipe units with large- and medium-diameter are more advanced, and there are little gap between production capacity and demand, while the overall level of small-diameter seamless steel pipe units are not so high. That is to say, there is still many things to do to improve equipment level of small-diameter seamless steel pipe units. 5. 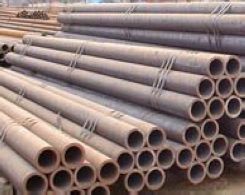 A few small-diameter seamless steel pipes with special specifications lack of production capacity. For example, huge-diameter thick-walled small-diameter seamless steel pipes used in power stations now mainly depend on import. 6. Technical innovation and product development of equipments are insufficient. On the terms of technological equipment, the main production equipments of seamless steel pipes still rely on imports. 7. Some high-value-added products have insufficient development. For example, special screw threads, anticorrosion and part of high-strength steel products in oil well pipes have not totally reached a standard. And these products still need imports. 8. In high-pressure boiler pipes used for supercritical and ultra-supercritical power plant boilers, the development speed of structural alloy steels and stainless steel boiler tubes doesn't keep up with demand. And they basically rely on imports.